Don’t you just adore a first-look moment? Anticipation builds as the couple lays eyes on one another for their first time on their big day! A moment such as this is once in a lifetime, and certainly shouldn’t be forgotten. Through professional photography, you can preserve your special wedding memories! After all, you will want to ensure that you can view your happiness time and time again. -With Your Partner. Of course, the most popular first-look moment to take part in would be with your partner! You may see them every day, but the first time you lay eyes on them as a bride or groom will be a whole new experience. These photos are sure to add a whole lot of romance to your wedding album. -With Your Parents. Your parents have raised you, and they are now giving you away on your big day to begin your own journey in life. It will certainly be an emotional time for all of you. By having a first-look moment with them, you can capture the loving bond that you all share, and add a heartfelt appeal to your collection of photos. -With Your Bridal Party. Your bridal party most likely already knows what your attire looks like, and will probably be present as you are having your hair and makeup completed. However, they haven’t seen you all dolled up just yet! If you have a first-look moment with them, you can capture their excited emotions as they see you for the first time as a bride or groom. Smiles, tears of joy; you will certainly be able to capture photos that are full of emotion! First-look moments should certainly be cherished! These are just a few that you will want to take part in and capture on your own wedding day. 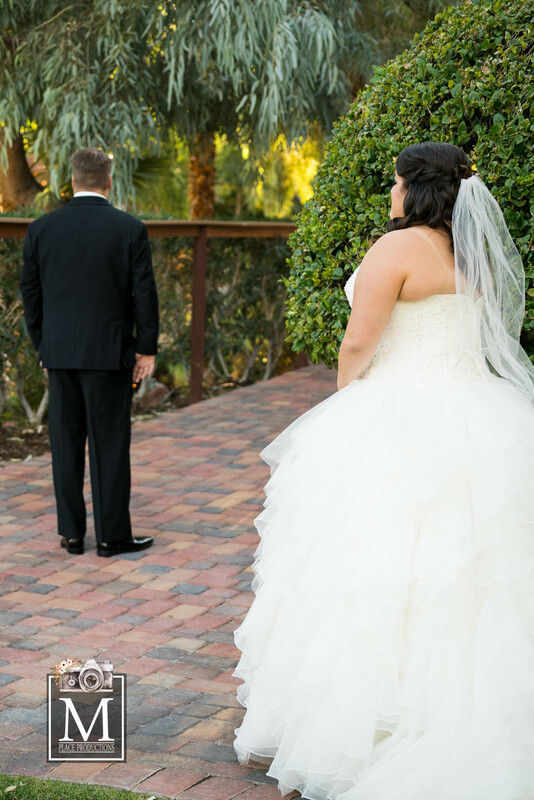 Are you ready to have your own nuptials captured, first-looks and all, with a wedding photographer in Las Vegas, Nevada? If so, please contact us here at M Place Productions, as we would be thrilled with the opportunity to photograph your celebration.